See extract below from the RBLR web site. A number of awards are given to the Branch members each year to reward those who provide exemplary service to the Branch. Andy was one of the early members of the Branch, he was the first one of us to have his photo taken wearing the branch badge on his vest. In 2005, while he was still a serving WO2 in the Royal Regiment of Fusiliers, he very tragically died of a heart attack whilst out on a run. 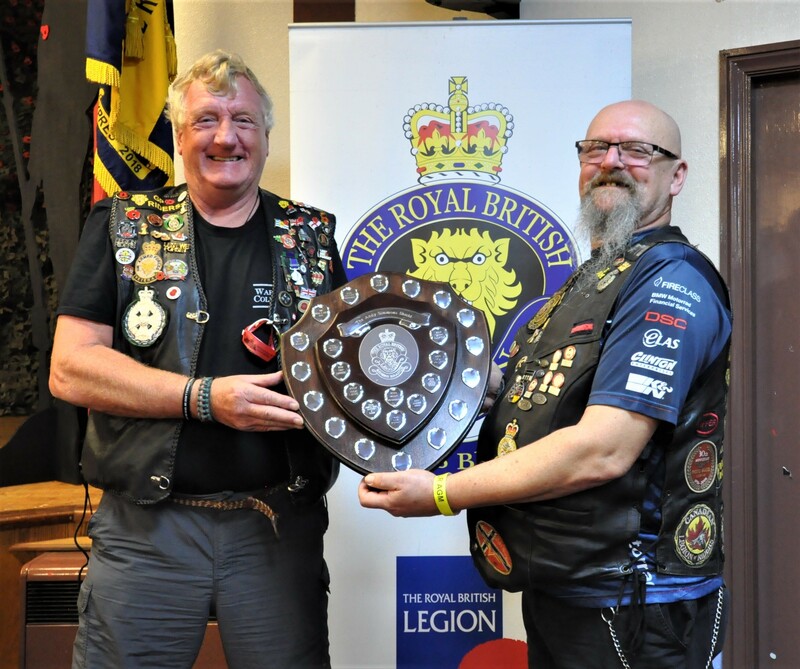 As he was the first, but sadly not the last to go from the Branch, we decided to dedicate a memorial shield awarded annually to the person the committee thinks has given more above and beyond for the Branch. Awarded in recognition of the outstanding work carried out above and beyond that required, including working with the Cabbies Veterans run and other events in his county or Hertfordshire and beyond.